When I was a Girl Scout leader (my daughter of course was in the troop), I made these cookies for my girls on a regular basis. When they became senior girl scouts (now called Ambassador girl scouts) in high school , they would ask me to make them. The cookies were always a hit. But I haven’t made them in about 8 years. To me, they were cookies just for my Girl Scouts. I decided to give them a try again when I had my knitting club over. I had completely forgotten how good they were. 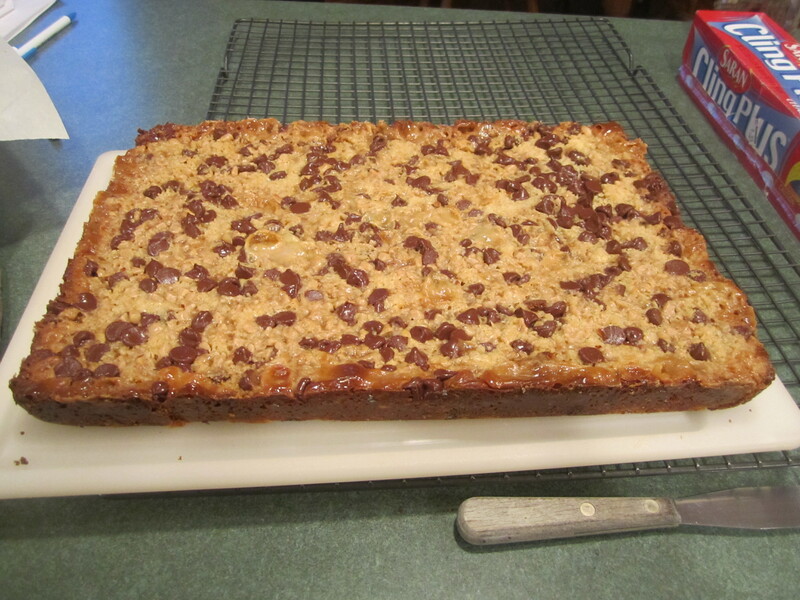 Chocolaty, chewy and somewhat crispy all at the same time. And they keep really well for about a week at room temperature. Freeze them if you want to extend the time. 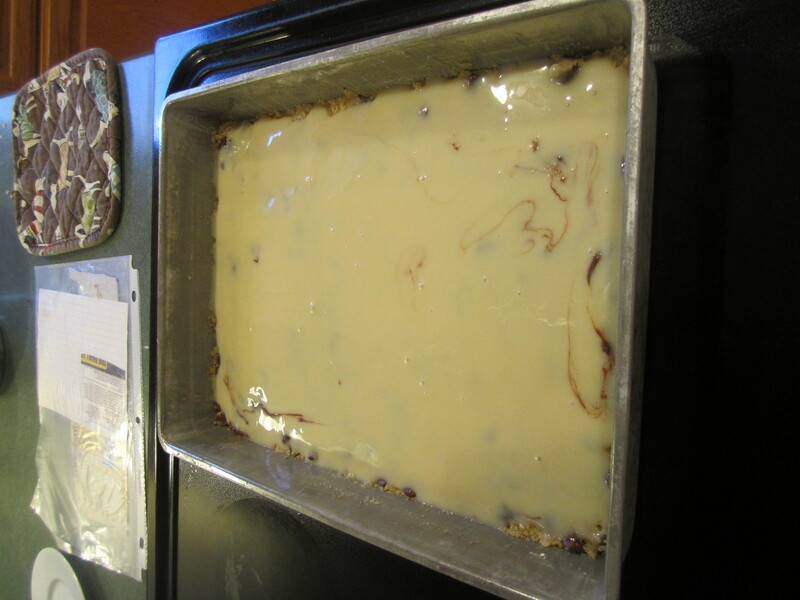 Spray a 9 x 13 inch baking pan with canola cooking spray. 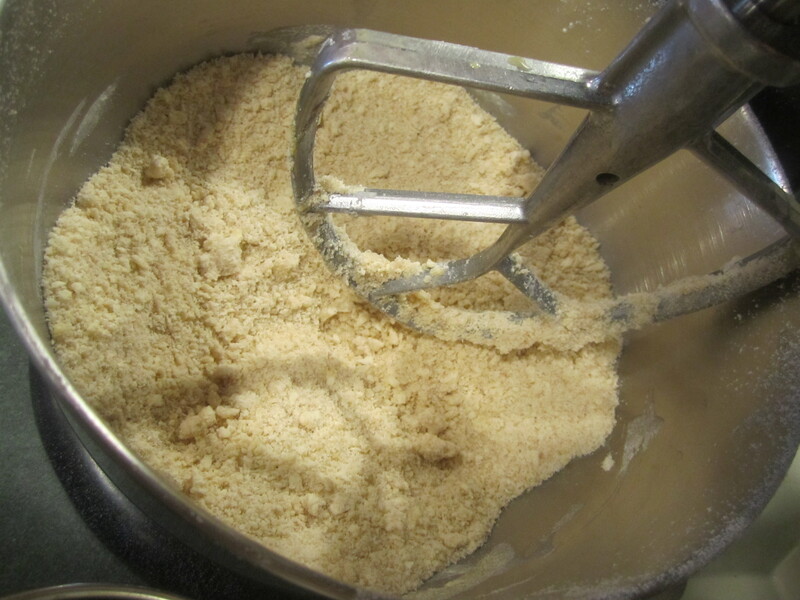 In a large bowl, place the flour, brown sugar, butter cubes and mix with beater or beaters until the mixture resembles coarse crumbs. Add egg and mix well. 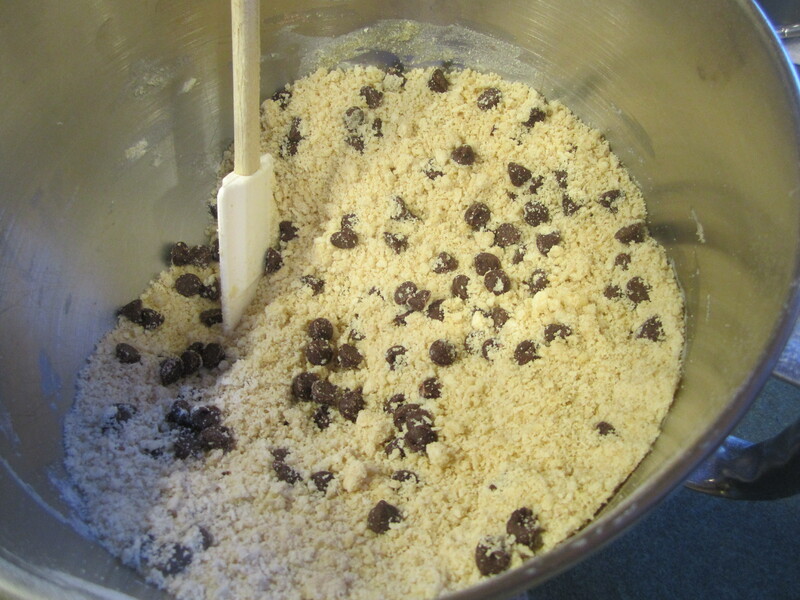 Add 1-1/2 cups of chocolate chips and stir until distributed evenly. 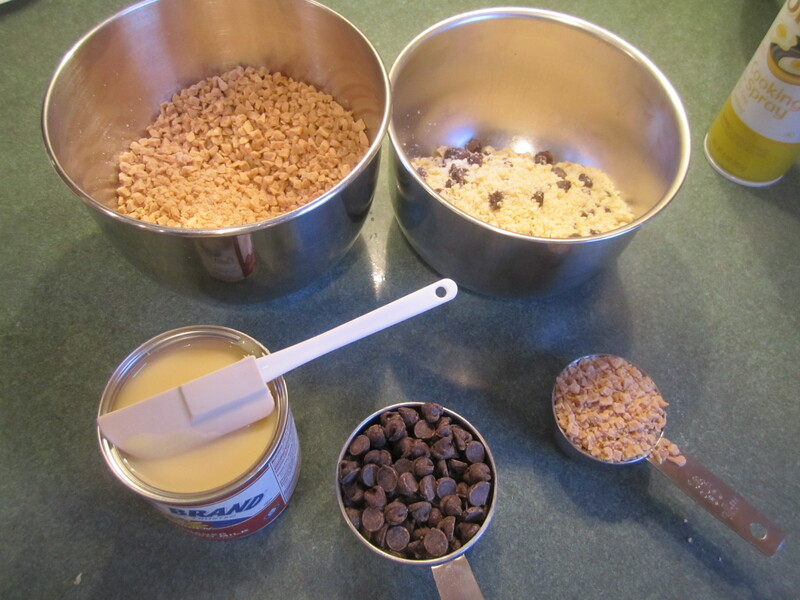 Set aside 1-1/2 cups of the mixture. 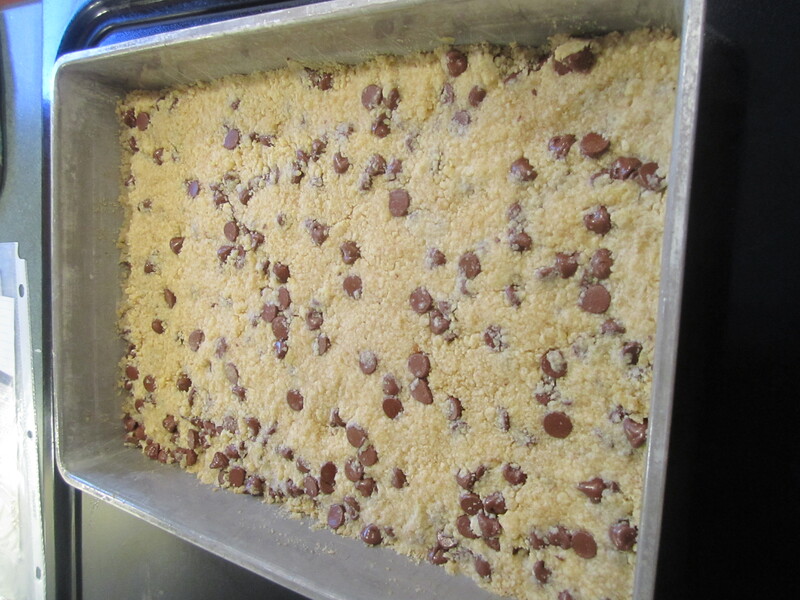 Press remaining crumb mixture into bottom of prepared pan. Bake for 10 minutes. 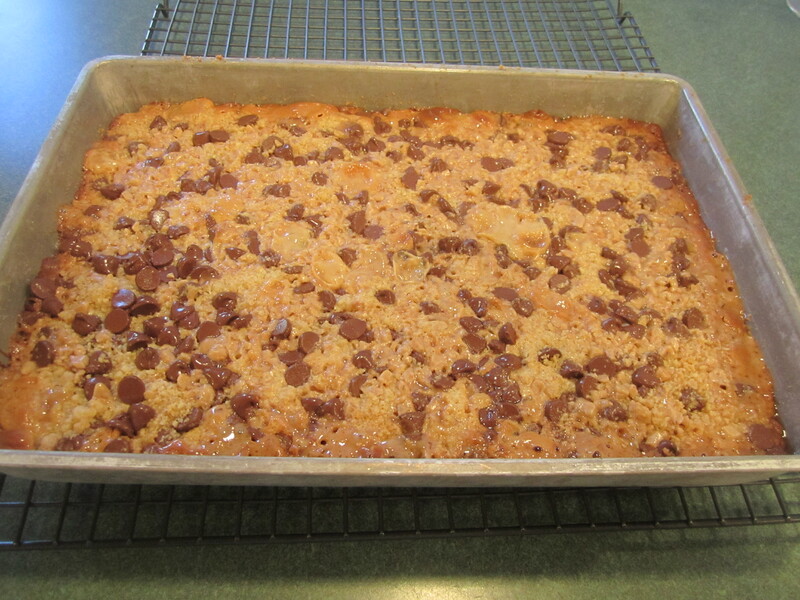 Pour sweetened condensed milk evenly over hot crust. 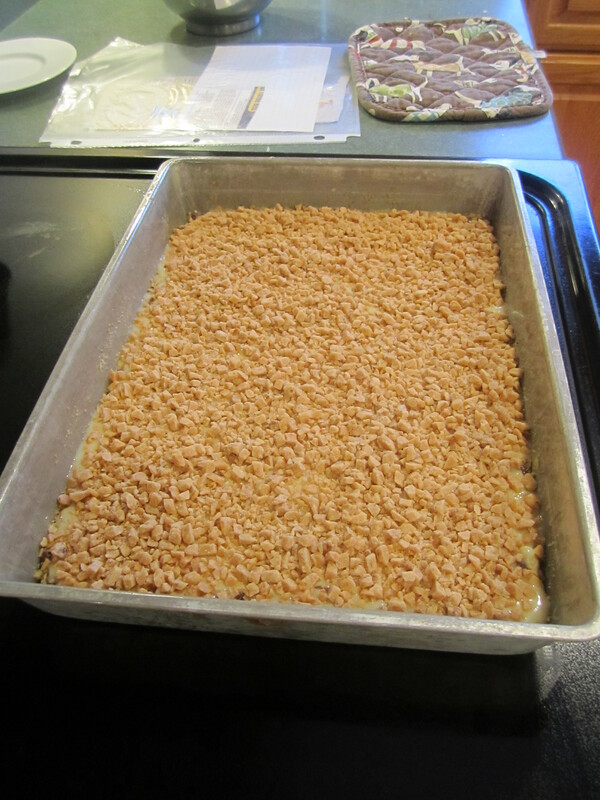 Top evenly with 1-1/2 cups of Toffee bits. 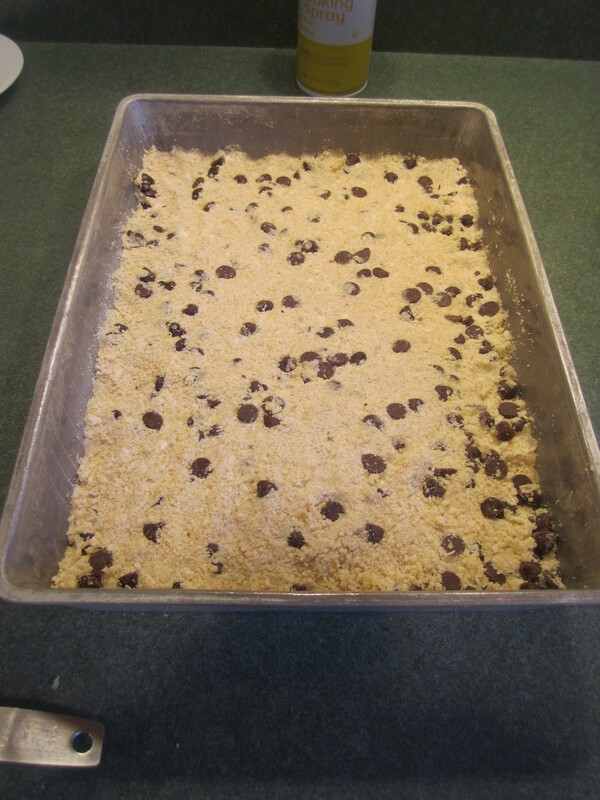 Sprinkle reserved 1-1/2 cups of crumb mixture and 1/2 cup of chocolate chips over top. Bake for 25 minutes until golden brown. 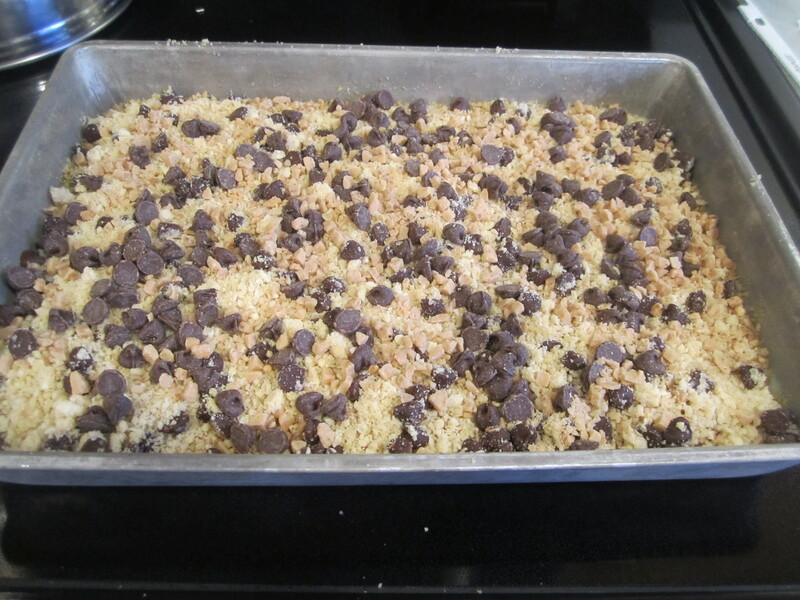 Remove from oven and sprinkle remaining 1/4 cup of Toffee Bits on top. Cool completely and I mean completely, on a wire rack until the pan is cool to the touch. If you do not let them cool completely, they will be a complete mess to cut. Believe me I have tried this when I was in a hurry. Not worth it. 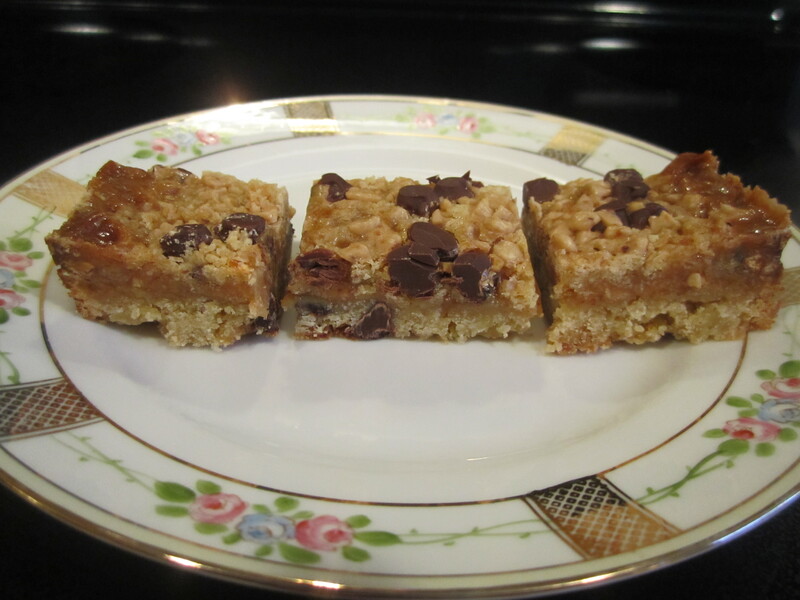 Take a dull knife and loosen the cookie all around the edge. Invert over a cutting board. Invert over another cutting board so the top is up. Cut into small squares or rectangles.